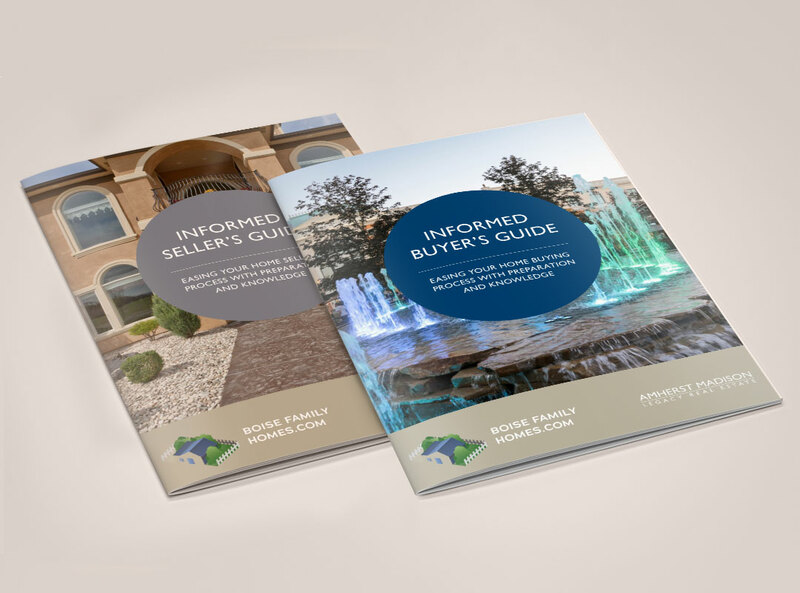 Boise Family Homes in conjunction with Amherst Madison Real Estate requested an Informed Buyer's Guide (20-page) and Seller's Guide (16-page) brochure. Working within Amhers Madison's branding restrictions, we were able to create a unique look and feel suited to give Boise Family Homes their own identity. These guides are provided to all buying and selling clients and serve as an effective leave-behind to remind potential clients of the quality, service and professionalism Boise Family Homes provides.